It is where we were all born. Get to know yourself. 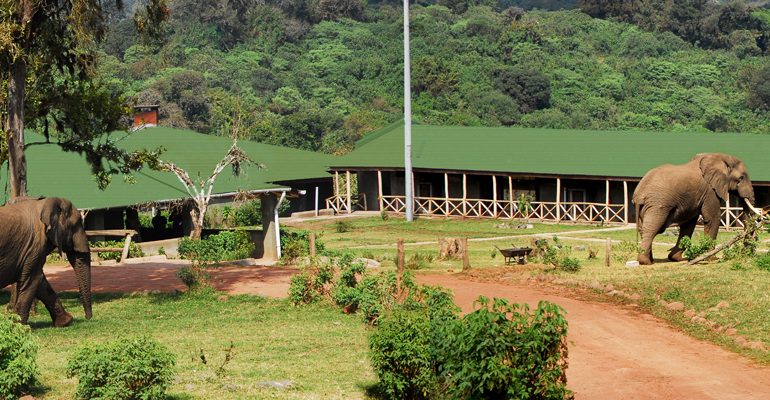 We have turned the house of the first conservator of the Ngorongoro into a tourist hotel. You can feel the atmosphere he felt. 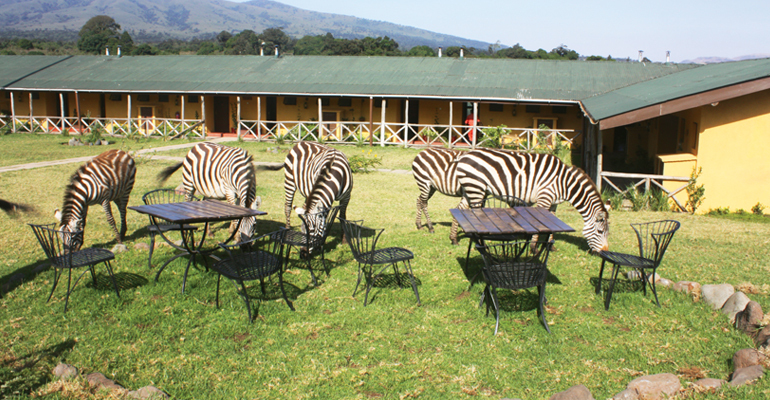 Get to know the current inhabitant of the area, the proud Masaai, and their wild animals friends roaming through the hotel premises, with which the Masaai have shared such land for hundreds of years. 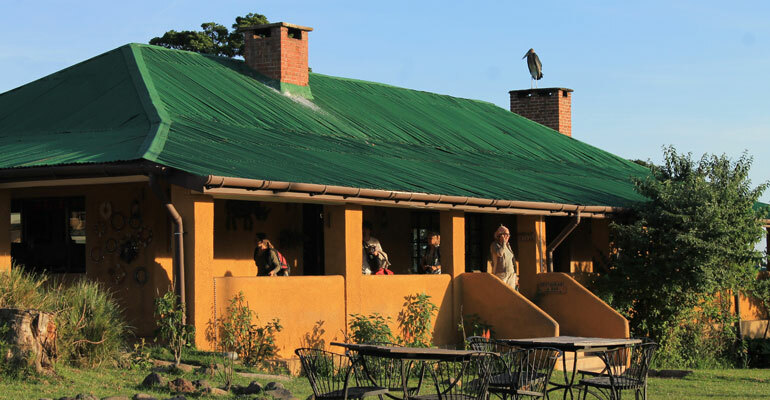 The Rhino Lodge has 24 rooms overlooking the lush forest and the Oldeani peak and is the perfect location to unwind as you watch bushbacks and buffalo grazing from your verandah. 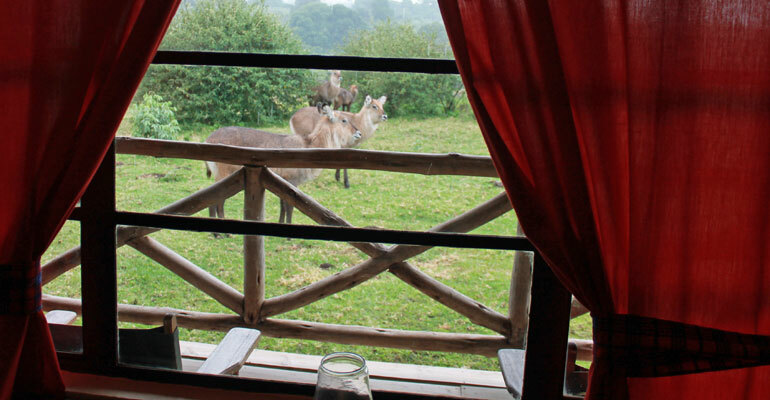 Share our eco lodge with the wild animals who roam the grounds freely. 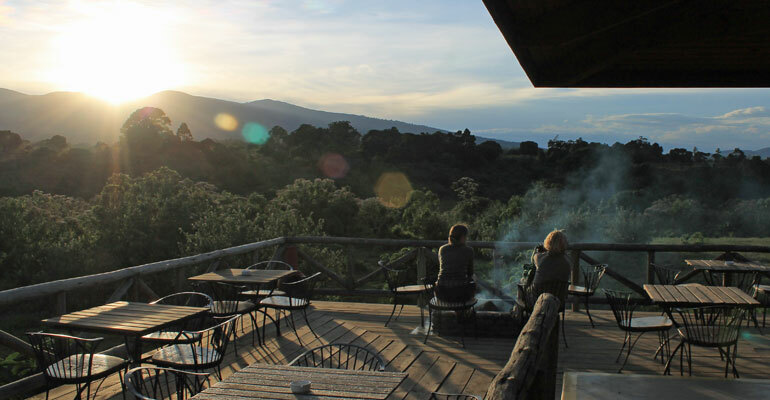 Spend your days in the crater and enjoy a picnic bush lunch. 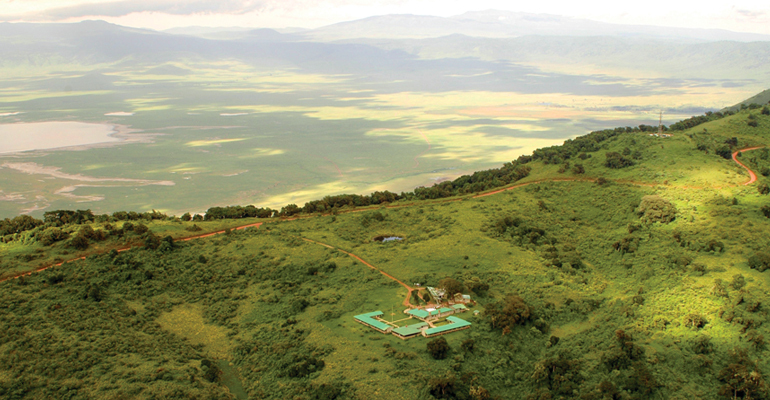 The Ngorongoro is also home to the proud Masaai tribe. See how they continue to live in harmony with wildlife and the natural environment as they have done for hundreds of years. Experience their world first hand as they tend their herds. Visit a Masaai village. Relax in front of a roaring lodge fire in the evening as you enjoy an apertif and savour a delicious dinner. In the bar/dining-room there are two large fires which are a natural focus where our guests like to meet and exchange stories of the day. 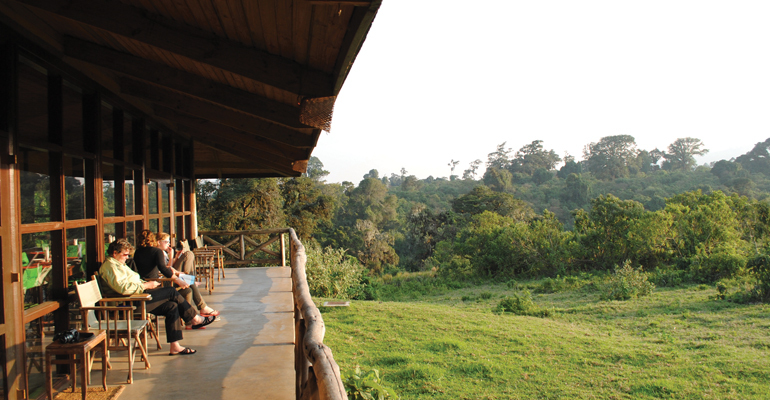 The new extended wooden deck offers an incredible view point from where overlooking the forest and the roaming wildlife, such as buffalos and waterbucks, while having the sundowner warmed by the deck fire. If you want to catch up with the news, there is a television at reception, available when the generator is on. The Lodge’s shop will help you to find the souvenirs to bring back home! – maintained quite intact both size and extension of the original building (the house of the first conservator), saving the surrounding environment and not impacting it more than what existed before it. – employs form the local community. 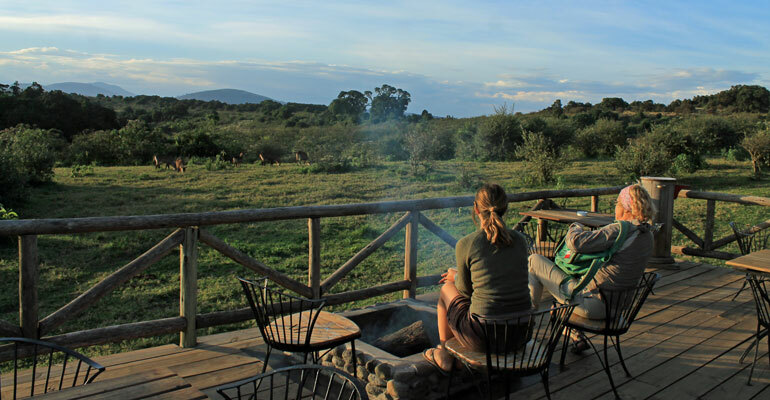 You will meet especially Maasai as staff of the Lodge who are the community leaving in the Ngorongoro Conservation Area. 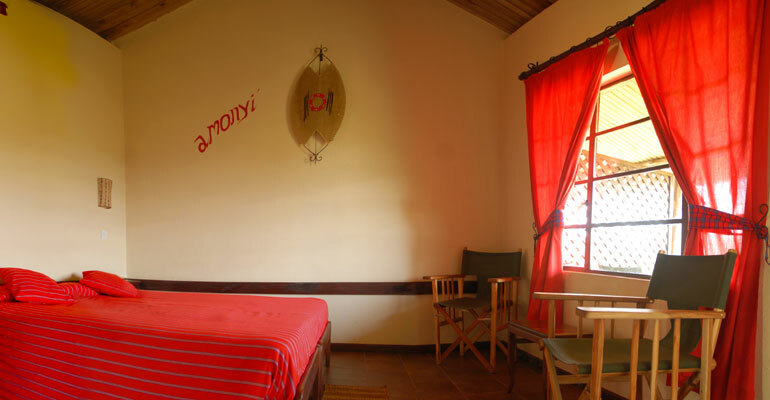 • Battery charging facilities in room: from 05.00 to 08.00 a.m., and from 18.00 to 21.00 p.m.
By car: 3 hours of drive from Arusha.